The construction at WISDOM Community School continues to move forward! 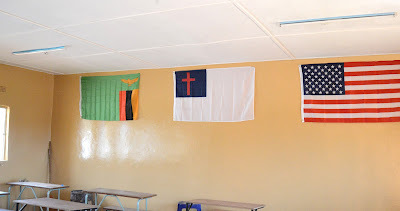 Last year, we added a new classroom building. We contracted the construction of the building with some features left out - the ceilings, painting, and electrical fixtures. 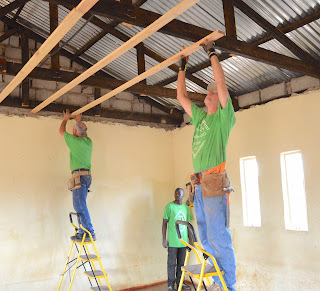 Our team, Ed Edwards and John Holinsworth, installed ceilings in the three classrooms. We hired local workers to paint the ceilings, re-paint inside the classrooms, and re-paint the front of the building. We had already begun the installation of electrical fixtures. Those lights and outlets are now complete also. We installed light fixtures inside all five classrooms and on the porch of each building. 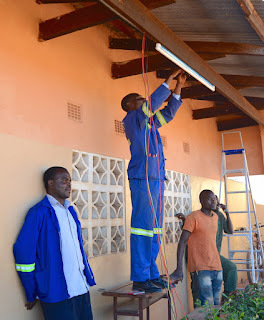 We also had the electrician include lighting at the guard house and some security lights for the property. While we were there, the contractor was finishing another latrine for the students, the guard house, and gates for the security wall. Ndola doesn't have a Home Depot or Lowe's around the corner. 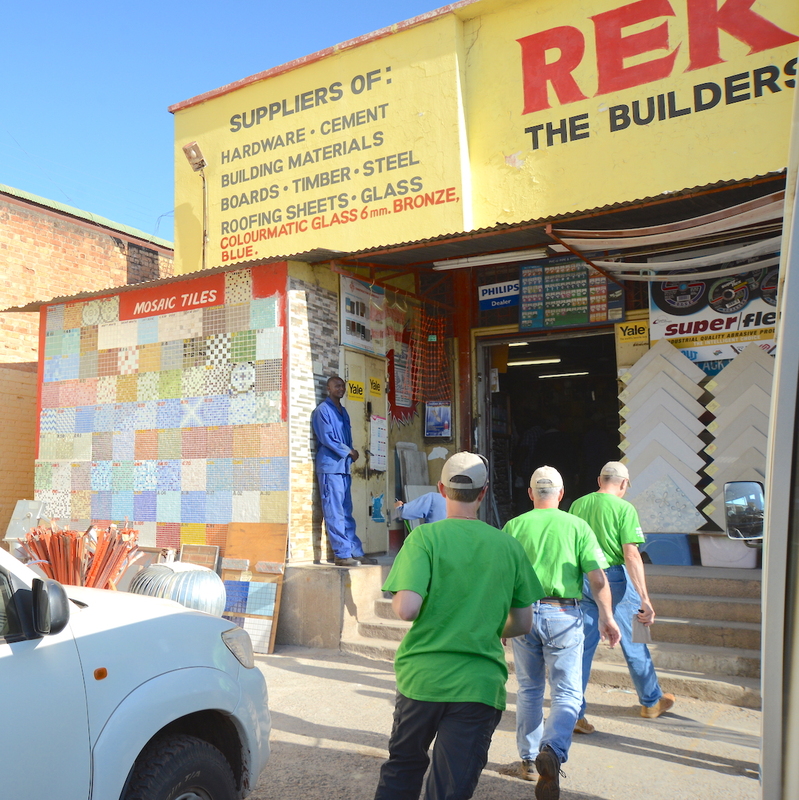 Some of the guys tagged along just for the experience of an African lumber yard. 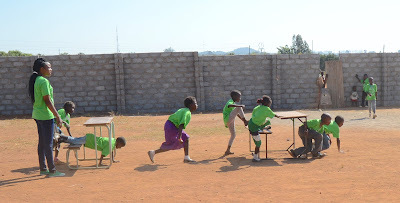 Children everywhere love to play! Add competitions and cheers - celebrations abound. The children at Wisdom Community School do not have games or sports in their daily time at school. They love the times of physical activities that Camp Wisdom brings. 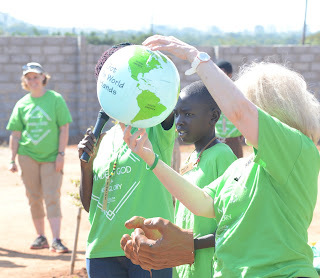 The LIVING WELL team led the children of WISDOM in a variety of games and activities. They designed a challenging obstacle course. Boat oars and water bottles became "dust cricket"
The BIG catch in dodge ball! The parachute draws the kids together. To aid the telling of the creation story, CAMP WISDOM created a fabric mural. The children painted and the mural came alive! They do not have any time at school (or anywhere) to draw or paint. The painting and drawing that they do during CAMP WISDOM becomes a unique and special time of creativity. 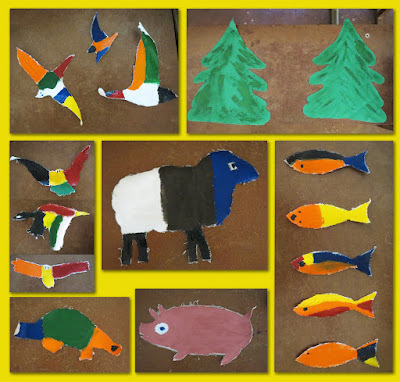 We told them to paint the animals, birds, and fish any colors or designs that they wanted. They came up with some very colorful designs! Completed mural on the wall. All of the pieces are pinned in place. 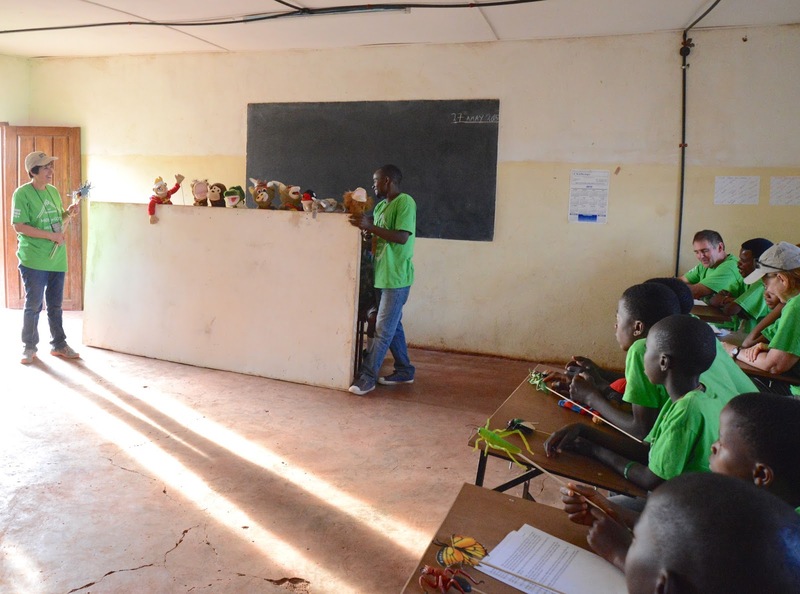 For the third year in a row, the students at CAMP WISDOM have put on a puppet show. This year they did it every day - 9 times per day - to all the students. 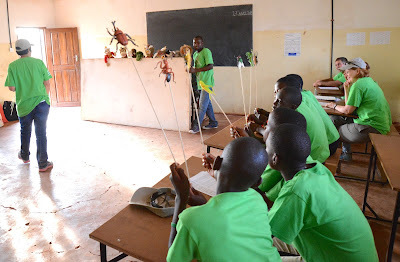 The puppets taught each lesson. Special thanks to the PCBC kindergarten Bible study class for donating money to buy more puppets again this year! After everyone else finished for the day, the puppet team stayed to rehearse. Darla Hollinsworth leads the puppet team every year, with lots of helpers! Some of the puppeteers have worked with the puppet team all three years and love it! The puppets told the story of God creating the heavens and the earth, the sun and moon, the land and sea, the vegetation and the animals. The audience got to participate with their own hand puppets and the insects on sticks. The story includes the story of Adam and Eve's sin and separation from God, and concludes with His story of redemption. 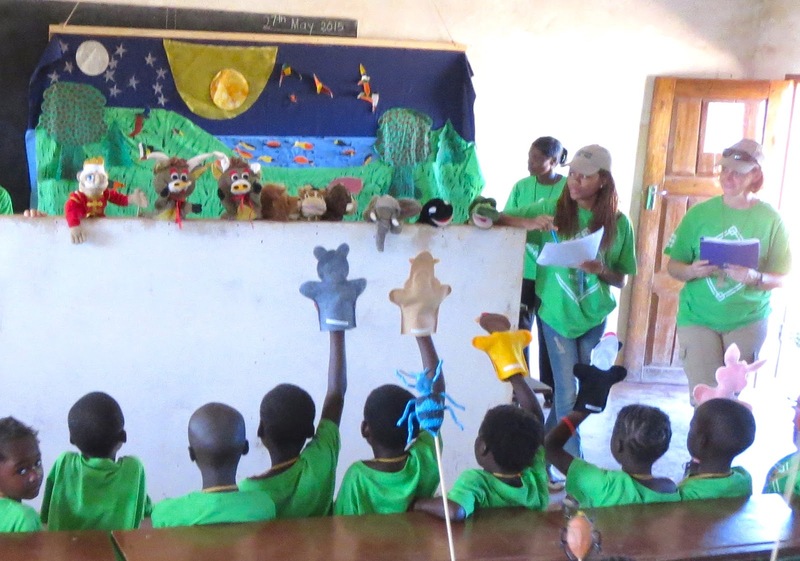 On Saturday, the puppets told their story to their families and community. Hundreds of children and and adults turned out to see what WISDOM Community School is doing! 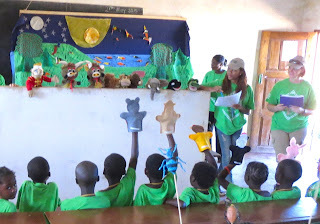 Besides the children from CAMP WISDOM (in the bright green shirts), many children who are not in school gaze at the stories told by the puppets. Some of these children are not old enough for school yet and some don't go because they choose not to or their parents don't encourage them. 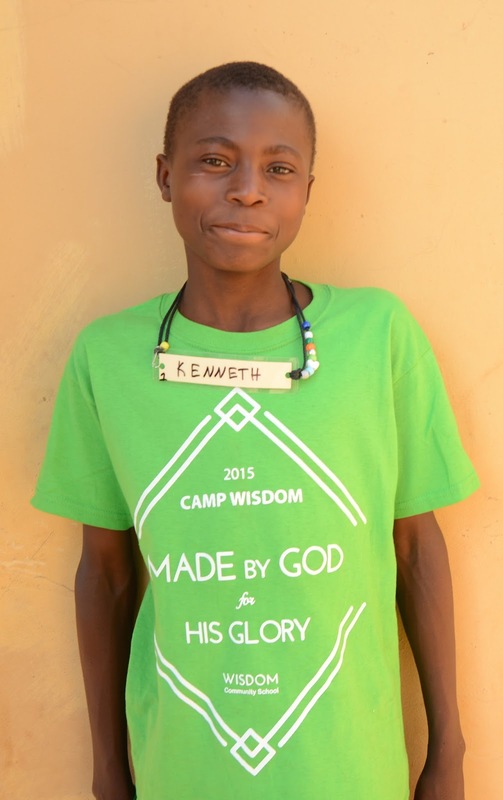 The theme for CAMP WISDOM this year was creation. 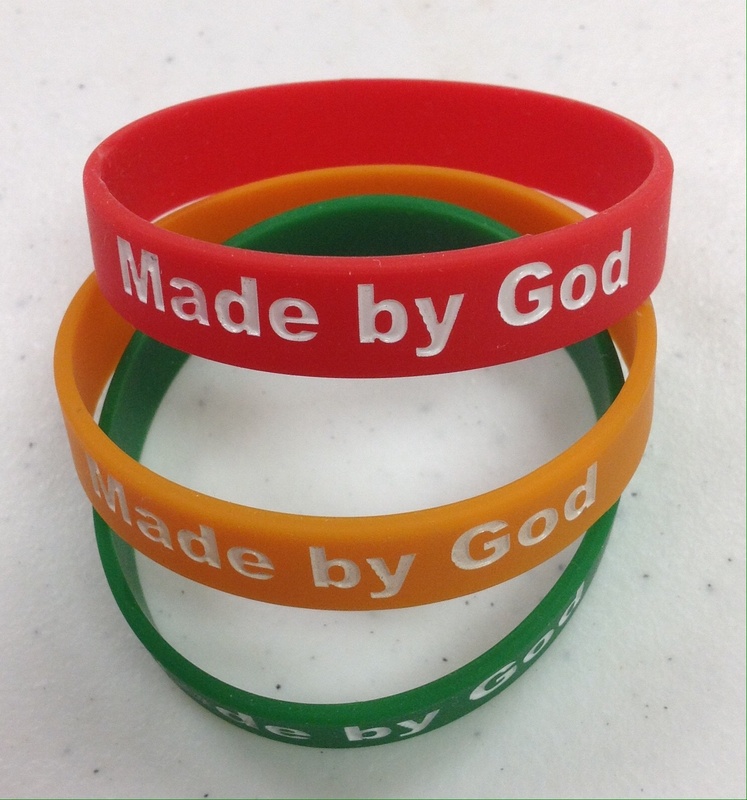 We put it on our t-shirts (designed by the incomparable Zachary Foster) and on our wrist bands. We sang about God's creation. We used puppets to tell the lesson. We made a mural that depicted the creation. We made crafts that related to God's creation. Our game time leaders even found a way to talk about being part of God's creation when they played! All of the CHILDREN enrolled in WISDOM Community School attended CAMP WISDOM, led by LIVING WELL Ministries. 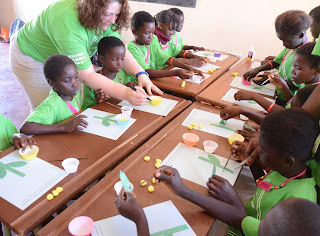 How do 10 Americans lead 350 Zambian children in a week of lessons, music, crafts, and games without having chaos? Lots of planning and prayer! With the help of all of the teachers of WISDOM and many more community helpers, the kids had a week of fun, learning, and love. The team brought each child a CAMP WISDOM t-shirt. Now we know which ones are enrolled in the school and which ones are hanging around the school. 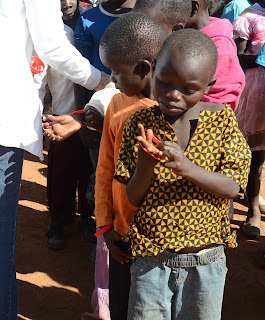 The children were divided into three sessions to attend at different times of the day. 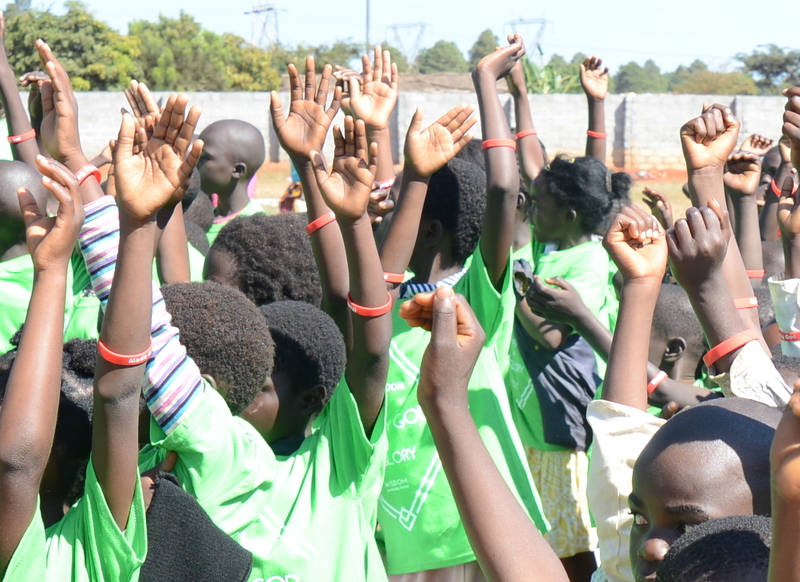 The team gave each child a wrist band, the color designated the session that they would attend. Each child had a name tag. The color of the name tag put children into smaller groups for each session. Check back soon for more photos of CAMP WISDOM!